just found a cute pic..
its taken from Sammul Chan's twitter..
he said in his twitter that this pic taken while watching Ruby filming the dance scene..
Yang Mi so cute in here..
Edited by zi wei's sister, 10 May 2010 - 12:27 PM. haha.... what a funny pic and their expression was hilarious. I guess that might the problem filming night scene. Edited by minivicki, 19 March 2011 - 06:38 PM. Yup, she wrote at least once per day. She had another account for Sohu as well. Hi all.. i'm one of the yang mi fans too!!!! MRXJ is a good film..! Yup, it is a chinese twitter. I enjoyed watching MRXJ as well. She look good in photo better than TV. she would look better in person. After watching Wang Zhao Jun she is really beautiful, at that age I think she was the most beautiful lady I've ever seen. and I love her character in that series. She was amazing, her skills and love for everything around her. Peace, among two countries and living in happiness. thought you played a short role in the beginning as Li Mei Ren? well she is still beautiful then, and when she played a girl at 16 y/o oh wow, she was just beautiful and fit that role quite well. Edited by CBWH, 31 July 2010 - 02:24 AM. She has new ancient series with William feng shao feng and mickey he,called 宫锁心玉... look forward for this series! !william n yang mi in it!! although she has weird hairstyle she still looks pretty!!! Edited by moo1304, 23 July 2010 - 01:25 PM. Happy birthday 杨小幂！！MiMi!!! Happy 24th bday!! although a bit late (it's already past 12 am there) but not yet in my place, i just realized it hasn't pas 12am yet...haha never mind..
Edited by moo1304, 12 September 2010 - 03:02 PM. 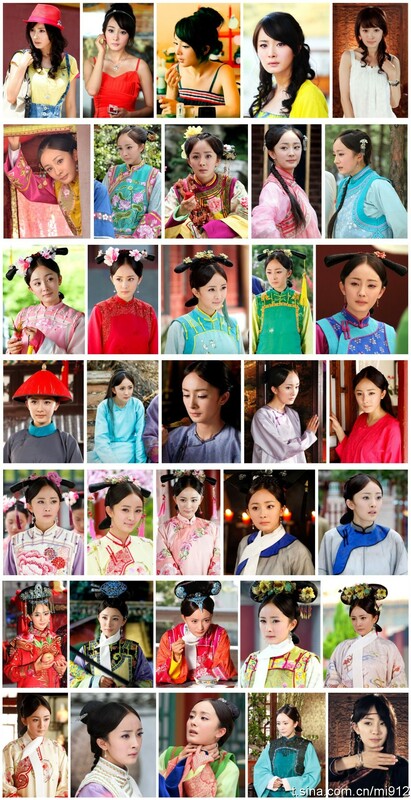 Yang Mi has plenty of 2010 series. Here's a trailer for one of them, a Yu Zheng Production, and a collaboration with Feng Shao Feng! Edited by minivicki, 19 March 2011 - 06:39 PM. Yang Mi is one the verge of making the big time, mark my words. One of the movies YM has filmed earlier this year is set to be released soon. The film is titled "Gu Dao Jing Hun" (previously named "Duo Ming Gu Dao"). I am surprised that her thread here isnt so popular. recently her status rise up in popularity because of "gong" her character Guo Qing Chuan is stunning and she's one amazing actress. love her character here and how good she has become in acting. Edited by skykh, 04 March 2011 - 07:32 PM. Yang Mi's other series with Feng Shao Feng. Seems much more serious and historical oriented, perhaps? It'll definitely be different from Gong, but personally, I think thats a good thing. Heheh, who are you on spcnet??? Yeah, spcnet is popular concerning mainland series (everything mainland actually!) whereas asianfanatics is more on taiwanese dramas and hong kong TVB. SHES sooooooooooooooo pretty! i love yang mi !! especially in chinese paladin with hu ge!!! anyway thx for sharing the pix! shes so gorgeous! That guy is nicolas tse, in a interview Yang mi stated that nicolas is her "perfect guy"
Edited by skykh, 19 March 2011 - 09:18 AM. Aww her perfect guy? Does she like him or something xD..
Do they have any drama together? if they do i would love to see! This is her sina blog and it is in Chinese. In order to view all the messages you will have to create an account yourself. She's beautiful...watching her in Chinese Paladin 3. She first began acting at the tender age of 4 and had a small role in one of Stephen Chow films. Has been named as the successor to the actress Zhou Xun by Director Li Shao Hong. Edited by gary 1991, 03 October 2011 - 04:25 AM. She is so pretty, and talented. 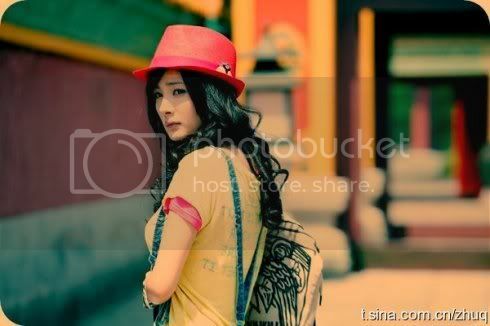 1st watched her in Gong(Jade Palace Lock Heart) oh my, she is real funny! LOL! Edited by Dramas24/7, 18 January 2012 - 01:32 PM. 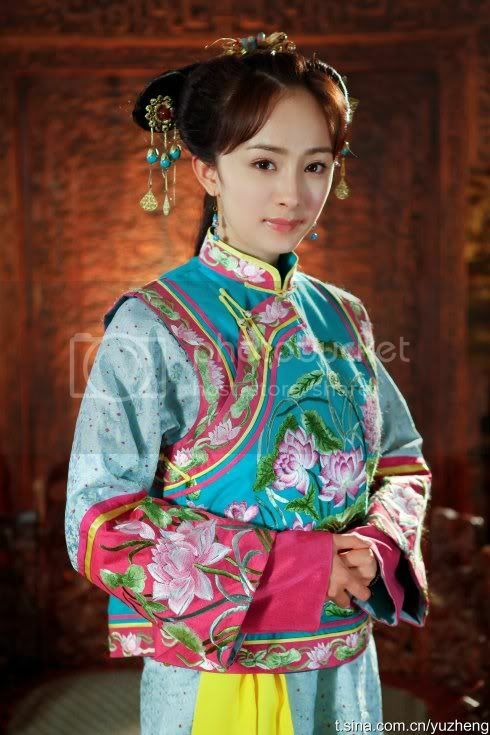 loved her in all her dramas that i've watched (Liao Zhai, Chinese Paladin 3, Gong). currently watching her in The Symphony of Fate and Beauties of the Tang Palace. i find the twin-sister relationship in SoF kinda unbelievable. too cute and cuddly and lovey-dovey, in my opinion. but i don't have a twin, so what do i know! i also dislike her twin sister, she's a horrible actress and not very pretty. 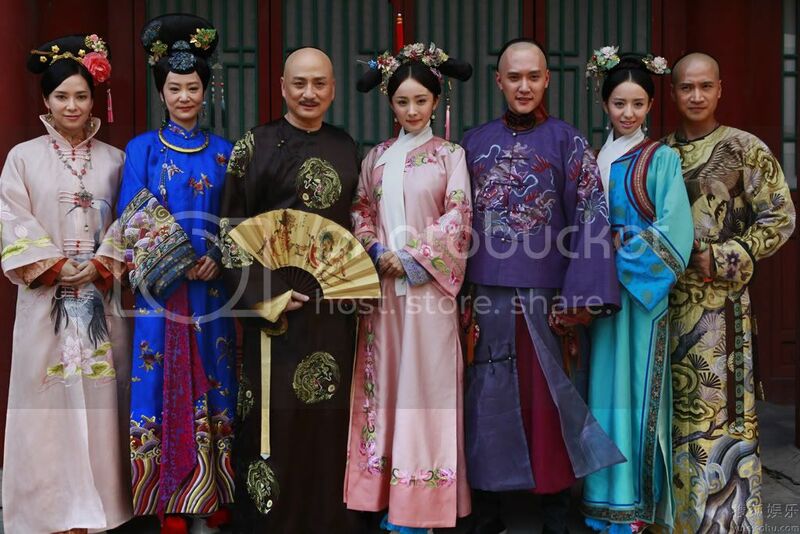 but Yang Mi and Feng Shao Feng make the drama more interesting! i love fashion too, so the storyline seems good so far. Edited by m e e h y a h, 23 January 2013 - 08:50 PM. I watch alot of Happy Camp, and she hasn't looked as happy and outgoing in the past year...I do wonder if it has to do with the relationship difficulties. Celebration for 3 years Wedding Anniversary? Yang Mi asks why do we need to tell everybody?